To help people answer that question, scholars have written careful analyses of Paul’s letters and provided new translations that seek to provide Paul’s words in our own language. Nevertheless these translations and paraphrases continue to give us Paul’s opinion on issues of importance to first century Christians and these are not always the same as the issues that concern us. 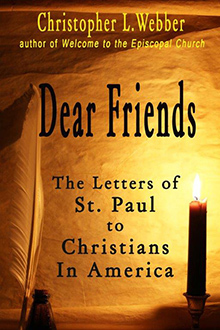 These, then, are letters Paul might write to the churches of America today. They are offered to the churches and individuals for study in confidence that those who study these letters with open minds and prayerful hearts can grow in understanding and make a better witness to others as a result.